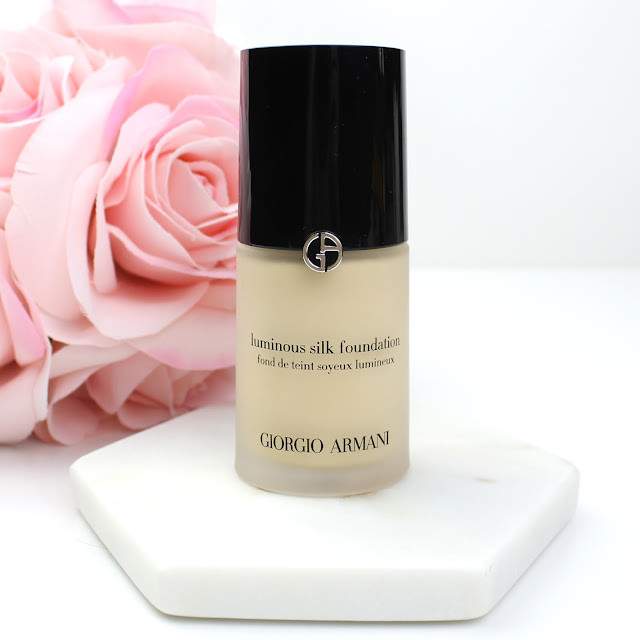 For day 2 of 5 Days of Foundation I am going to give you the full run down on the Giorgio Armani Luminous Silk Foundation ($99). Of course, there is no missing that heft price tag! No doubt, this is a hella expensive foundation and the whole purpose of this review is to answer the question that everyone seems to be asking: Is it worth the splurge? There is no arguing that this is a seriously popular foundation. It is a thin liquid formula that claims to give you lit from within finish that is inspired by charmeuse silk. Fancy speak aside, that basically just means it is a lightweight luminous formula that is designed to be comfortable on the skin. It apparently has an exclusive Micro-fil technology to brighten but I feel like that is just a fancy way of saying it has a silicone base that glides across texture. I can't really find anything about what ingredients in it might be food for your skin, but this foundations marketing is all about the way it looks on the skin. The finish is light but very buildable. 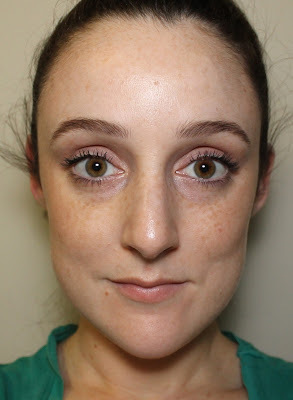 A normal amount (about 2 pumps) will only give you a light-medium coverage but you can build this up to medium+ with more product. 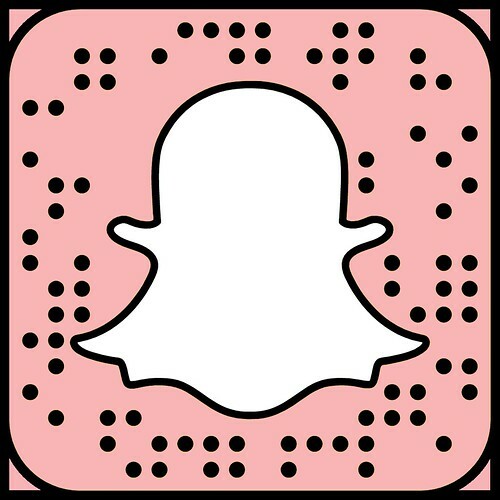 I wouldn't classify this as a usual glowy, luminous or dewy foundation. It is actually more satin-matte but there is a natural luminosity to it. Basically, it isn't at all wet or dewy, but it isn't flat matte either. Also, for reference, I use shade 3, which is a quite light yellow toned shade. The application actually isn't the easiest thing in the world on my dry skin. I have foundations that do blend quicker and easier, but it isn't too hard to get a nice smooth coverage with a beauty blender. It is a foundation that does dry down a little quicker, so it is better to do it in sections. Honestly, I find myself not really reaching for this on a daily basis, because it does take more effort than others. I imagine people with oily skin wouldn't have the same problems though. Overall, it did a good job of evening out my skin tone and creating a nice base, but I don't think it would be good for anyone with acne or problem skin that wants a lot of coverage. The longevity of this foundation is where it kind of falls down. I had heard a lot of people complaining that it didn't last an exceptionally long time before I bought it, but I figured I would be fine with my dry skin. I can definitely say that at the end of a 10+ hour day, there is very little left on my skin. I have dry skin that never gets oily so I never usually have problems with foundations lasting. However, when I take this foundation off at the end of the day, there never seems to be much left that comes off on the cotton pad. Basically, I think this is a good foundation but it just didn't wow me. 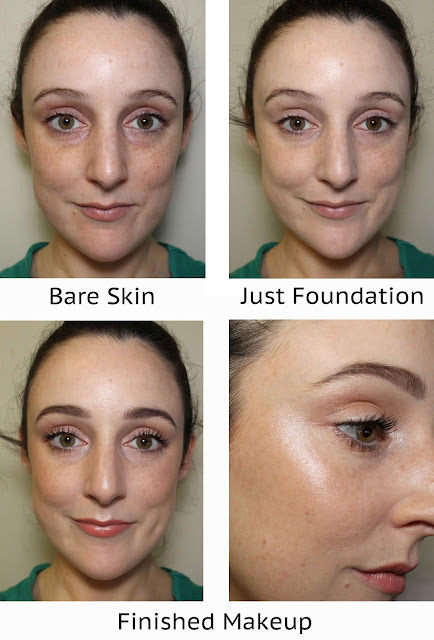 If you are obsessed with that natural satiny finish maybe you will like it more, but I still think something like Nars Sheer Glow ($68) performs just as well, if not better, at a much lower price. That is pretty much the crux of this review - it didn't wow me, and for 100 bucks, it really should have. I will happily use this one up because it is still a good foundation, but there are much cheaper ones I like more so I won't be repurchasing it. It must also be said, that there are still some people who absolutely love it and swear it is the best foundation they have ever used. That just wasn't my experience and we all have different skin types and needs. I would definitely recommend getting a sample to try it out with an entire application at home before you buy. Some of the Giorgio Armani counters I have been to in David Jones were so ridiculously stingy, but stand your ground and simply say you aren't spending $100 on a foundation unless you try it first, which is entirely justified! That is exactly why you spend the extra dosh to buy high end - to take out the guesswork! If they are still trying to be stingy, just pack up and head to Mecca where you can get all the samples you need and probably find a foundation just as nice for less money. To cut a long story short, is it worth that hefty price tag? Unfortunately, nope. Sorry if you guys were expecting a absolutely glowing review but I wanted to be honest. It is a nice foundation, it just isn't 100-dollar-nice in my opinion. 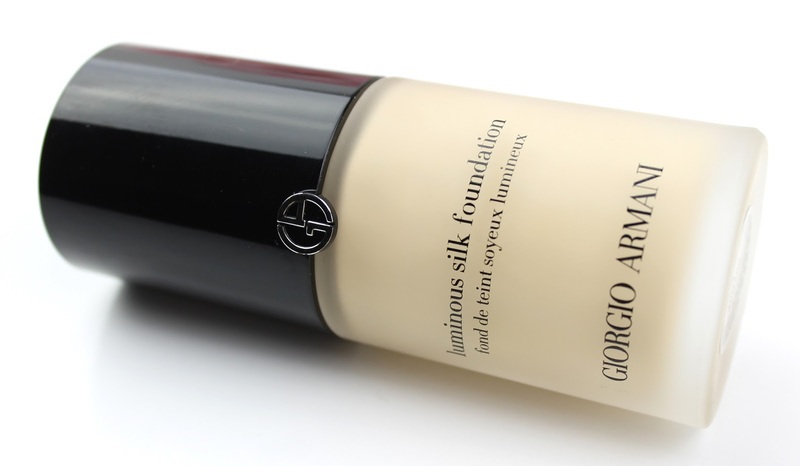 Have you tried out the Luminous Silk foundation before? I would love to know your thoughts. Also let me know if you are still curious about the hype and are planning on picking up a sample because I totally get it! I am still glad I tried it because it is such a cult product, but I will be sticking with much more affordable foundations I actually like more. Disclaimer: I purchased this foundation with my own money. As always, my opinions are my own. 11 comments on "5 Days of Foundation: Giorgio Armani Luminous Silk Foundation"
Wow - great review Emma! I have heard for years that this is the be all and end all of foundations, so it's refreshing to hear that isn't necessarily the case! Interesting to hear about the wear time, I doubt it would last very well on my oily skin then, certainly wouldn't be worth the $100 for me! Not that I can afford it anyway haha. Aw thanks so much! I totally hear you with the not being able to afford it. I bought it when Myer had that 20% off foundation sale. It was even hard to stomach at $80 with AfterPay! It's so good that it worked out for you. My friend is obsessed with it too. It's a really great foundation. 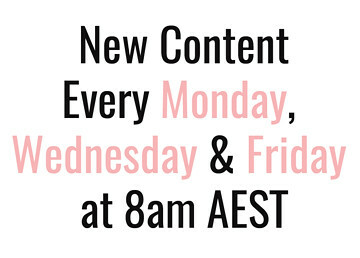 And now is the time to stock up with all the awesome sales. Considering the hefty price, anything you can do to get it on sale is a blessing! I've heard so many things about this. But I need a foundation that lasts so I'm thinking now it is not the one for me.